I realized that most of my posts (thought I know I’ve already done 4) have been about meat. I am an avid carnivore and could eat meat everyday if I had to (probably not the best thing in the world though). 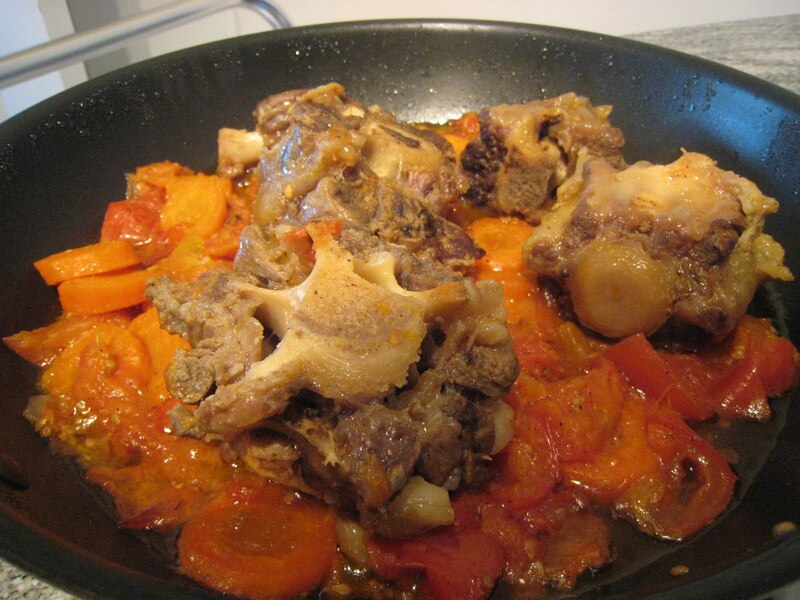 In any case, I decided to prepare another favorite of mine, which I’ve come to love during cold winters in London: Ox tail. Ox tail is hard to find at the local grocer’s but you can always count on Chinatown. I tend to make it in a stew with tomatoes, carrots, shallots and the occasional potato but since it’s not entirely winter or even fall for that matter, in Paris, I decided to make braised Oxtail with carrots. The end result was surprisingly not bad, and definitely lighter than the original recipe with the stew. 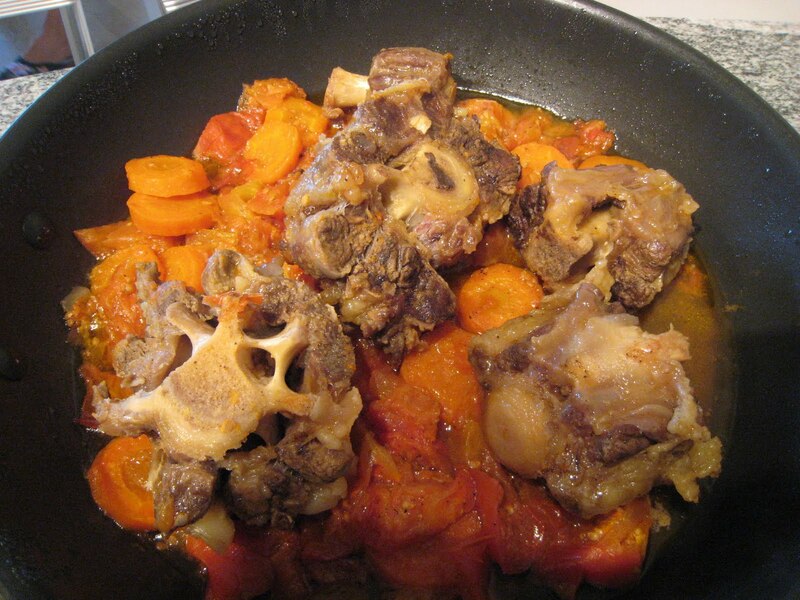 Basically, had about 3-4 ox tail bones that you sauté first in a pan and when the outer parts turn brown, you lower the fire, add salt, pepper and the carrots (which take very long to become soft) and any other vegetables you like (potatoes, zucchini, eggplant) and let it cook in low heat in its own fat until you have it as tender as you’d like. A good 2-3 hours ought to do the trick (I like it a bit chewy so that’s my time limit).